Nineteen players were named to FC Barcelona’s squad list for Sunday’s match versus Deportivo La Coruña—kickoff at Camp Nou is at 8.45pm CET—manager Ernesto Valverde and the coaching staff announced Saturday evening. Forward Gerard Deulofeu is out with an injury, as is his fellow striker OusmaneDembélé, the midfielder Rafinha, and central defender SamuelUmtiti, all of whom are still in recovery mode. 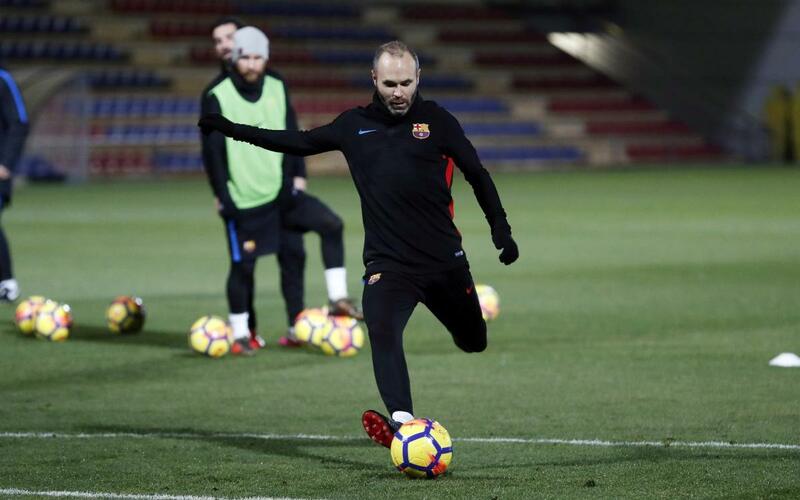 Midfielder Andrés Iniesta and defender Javier Mascherano, however, have been given the green light to return to action and will suit up on Sunday. Midfielder Arda Turan has been left off due to coach’s decision. Ter Stegen, Semedo, Piqué, Rakitic, Sergio, Denis, A.Iniesta, Suárez, Messi, Cillessen, Mascherano, Paulinho, Paco Alcácer, Jordi Alba, Digne, Sergi Roberto, André Gomes, Aleix Vidal, Vermaelen. Earlier, in the late afternoon, Valverde spoke before the media and then the team worked out in their final session before hosting Deportivo. Barça B’s Alberto Varo joined the first teamers.